My valentine card for all who have felt unloved and unchosen. Please consider it accompanied by those little candy hearts. ❤ I choose you. We choose you. 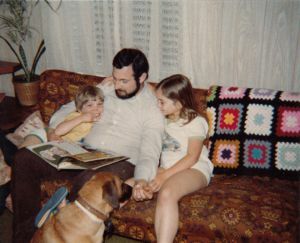 Me with my dad, little brother David, and our dog, Hector.